Drigung Til Monastery is a Kagyu Sect. 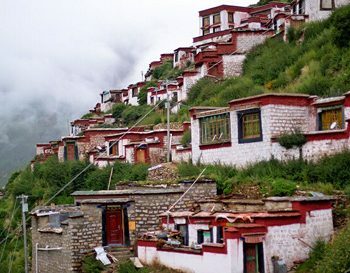 which locates in Maizhokunggar County, Lhasa, Tibet, near the Tidrum Nunnery. 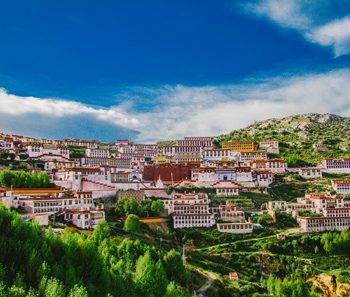 Drigung Til Monastery was founded in 1179 by the founder of Drigung Kagyu tradition. However, in 1240, the Mongol troops h destroyed the monastery. Although the monks defend and prevent the destruction, it still ruined a lot. 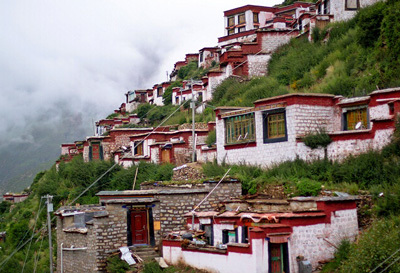 Now, as it has been rebuilt a lot, till the end of 2015, it housed about 250 resident monks in Drigung Til Monastery. In the past, this monastery played an important role in both politics and religion. Nowadays, it has more served as a historical site and monastery attraction. Moreover, there are over 50 buildings in the area around the monastery. And, they were built steps by steps. Therefore, it forms a typical and unique sightseeing that impresses travelers. It is said that there are only two famous sky burial sites in the world. Drigung Til Monastery is one of the two sites, and the other one is Siwacai sky burial site in India. However, in recent years, Chinese authority does not allow travelers to witness the sky burial, due to the tradition of local people and its bloody scene. 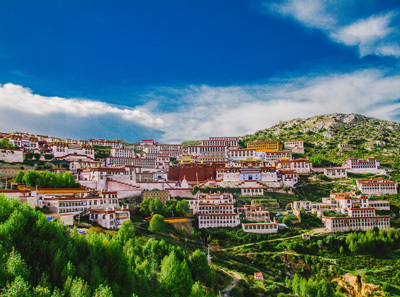 Whether it can be seen or not, you can ask your local Tibetan guide or driver. In addition, the sky burial is just a ritual of some local Tibetans. So, please well behave yourself and respect their tradition. 1. The Admission Fee is 35 RMB. 2. The guesthouses near Drigung Til Monastery are not very good, but other guesthouses near the Tridrum Hot Spring are better.